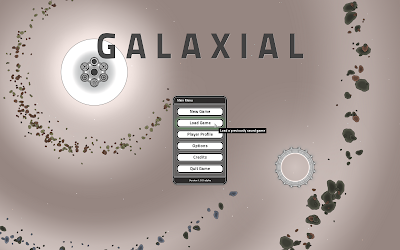 Development blog for a space strategy game called Galaxial. Some parts of the game I have been working on recently. 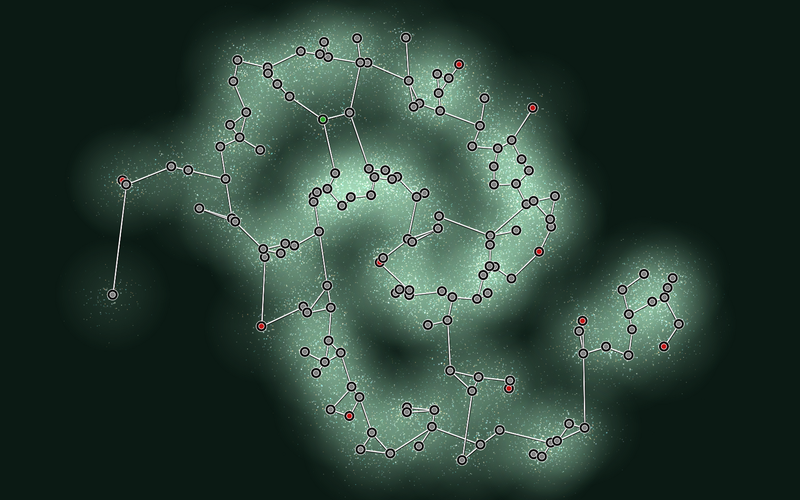 I've been having some design problems with the way ships warp around inside star systems for them to reach jumpgates, so I have decided to make some major changes to the way the galaxy is structured and connected together. At each location on the main galaxy map there will now be a single planet or sector instead of an entire star system containing multiple planets. 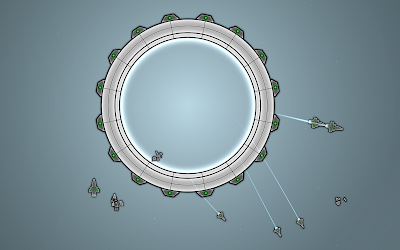 This will remove a zoom level, so it now goes galaxy > sector instead of galaxy > system > sector. The jumpgates have been moved to inside the planet sectors (there are as many jumpgates as there are links on the galaxy map to the sector), so ships no longer warp around the system to reach a jumpgate sector (like EVE Online) It is now more like the game X3 where you can see all ships and where they are travelling to in a single sector. These changes should make it easier and less complicated to see where all your ships are and the places that need assistance. It will also bring a lot more life to the sectors so they dont feel empty as well as making the maximum galaxy sizes even larger. Graphics for the jumpgates are mostly finished although I havn't yet made the visual effects for when ships make a jump. The lights around the outside of the gate shows if the connected sector is friendly, hostile, allied or neutral. The main menu and loading screens are now working although the title text may change to something a bit better later on. 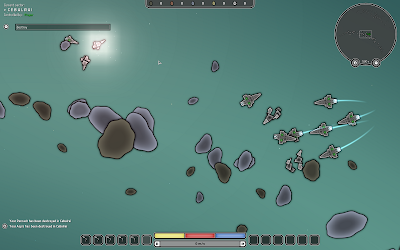 Planning to also add some big randomised ship battles to watch in the background. Added a console interface that can execute commands to help with testing, changing global settings, spawning ships/objects or for cheating. I been following the dev of this game for some while and the news of doing away with systems sounds on the face of it, disappointing. Have you any other info? Do you just fight around a planet now? Is it only one planet? Maybe you could show somw screenshots or something. No its not just one planet. When you zoom in from the galaxy map it now goes straight in to a planet/sector (where you see the ships) instead of the middle star system screen showing each planet and requiring you to zoom in even further. Like the poster says below, I will also be able to make galaxies even larger now without it becoming overly complicated. Also, would be nice to destroy (or disable jumpgates for certain amount of time) to cut hot regions. can be finaly Master Of Orion replacement (I still play it via DosBox). Hope you will reach beta soon, so we can try it out and push some true feedback. Yes thats all correct, Jumpgates will be around the outskirts of a sector past the asteroid belts except for on the main menu where I wanted it to be visible during the battles. I don't quite get what you saying here. Perhaps a video showing the old and the new would help? any idea when beta will be released? looking forward to testing if i could! Q: What is this game? 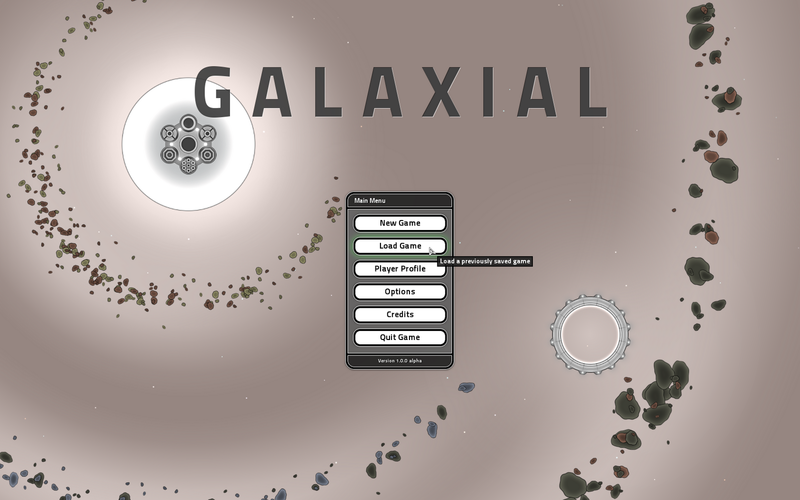 A: Galaxial is a 2D space strategy game currently in development. 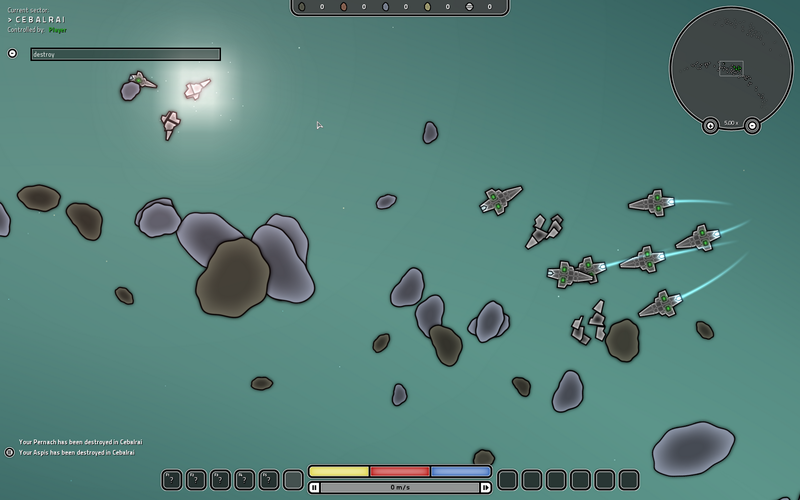 It features a sandbox mode allowing the player to explore, colonize and conquer planets in a vast randomly generated galaxy. Q: Are you still working on this game? Q: When will it be released?